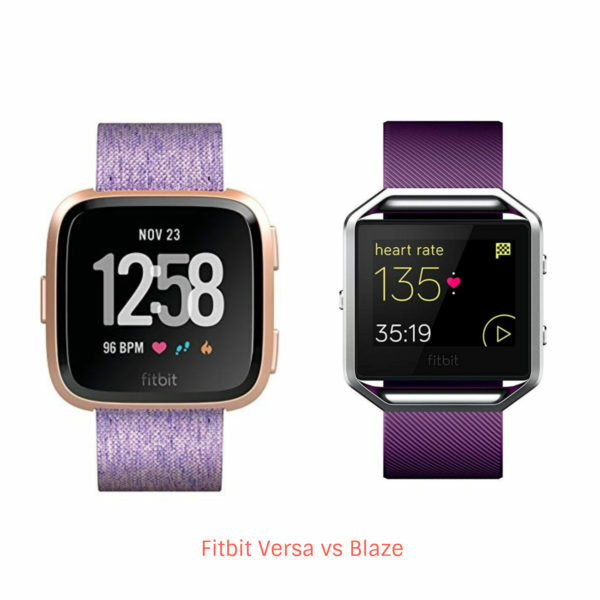 Which Is Better, Fitbit Versa vs Blaze? DESIGN & SCREEN	 Versa has a larger and clearer display as compared to the Blaze. It has a sleek design. The design of Blaze is simple. The display is vivid and bright. Heart rate monitor	 It keeps a tab on your continuous heart rate because of the PurePulse technology. The Blaze also keeps a tab on your continuous heart rate because of the PurePulse technology. 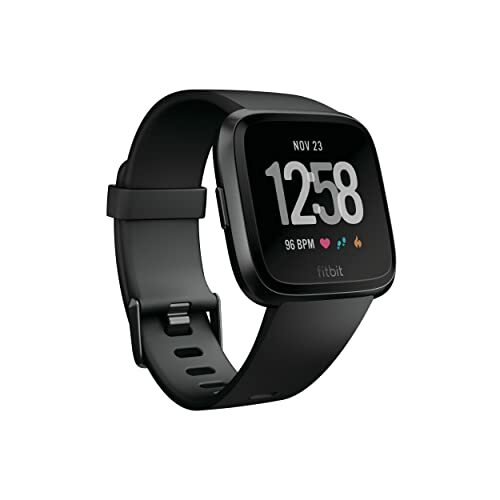 Automatic sport recognition	 The Fitbit Versa has an automatic sport recognition mode. It features a SmartTrack technology to record and recognize workouts in the app. It also has an automatic sport recognition feature. Due to SmartTrack technology, Blaze automatically and effortlessly records workouts to the dashboard. ALARMS	 To grab your attention, the Versa vibrates when the set alarm goes off. To grab your attention, the Fitbit Blaze vibrates when the set alarm goes off. GPS	 Fitbit versa has a connected GPS	 The Blaze also has a connected GPS. WATER RESISTANCE	 Fitbit Versa is not only water resistant but also a swim-proof up to 50 meters. It tracks the swimming activity. Whereas Fitbit Blaze is only water resistant, not water-proof. So, it will not track swimming activity. It is splash-proof and allows you to go out on a rainy day. FLOORS CLIMBED	 Versa keeps a tab on the floors you have climbed. The Fitbit Blaze also keeps a tab on the floors you have climbed. CALLER ID & MESSAGES	 Versa is capable of displaying caller ID and messages and also allow the users to reply to the text if the watch is connected to your phone. Fitbit Blaze displays caller ID and messages but lacks a quick reply feature. REMINDER TO MOVE	 It features reminder to move mode that keeps reminding you to take 250 steps each hour so that you will not forget to take steps towards a healthy life. If you are busy and do not want the watch to keep reminding you, then you can switch it to ‘do not disturb’ mode. Blaze also features reminder to move mode just like Versa. Each hour it reminds you to take 250 steps to help you reach your goal. You can adjust the mode according to your own schedule. You also have an option to switch this mode to ‘do not disturb’ mode if you are busy. DISPLAY	 Fitbit Versa has a touchscreen color LCD display. The display size of this heart rate tracker is 1.34 inches. On the screen, you can see the stats and other information about all day activities. It also has a touchscreen color LCD display. The display size is 1.2 inches. It displays all the stats and useful information to keep you aware of how you are moving forward towards a fit and healthy life. SLEEP TRACKING	 It is capable of measuring sleep stages and how you sleep and how much time you spent in REM, light, and deep sleep. It improves the quality of sleep as well. The Fitbit Blaze also features a sleep tracking option. Just like the Versa, it keeps a tab on your sleep stage and how much time you spent on light, deep, and REM sleep. It has an impact on your sleeping quality. As you have gone through the Fitbit Versa vs Blaze comparison, you may have made your mind which heart rate tracker to pick. There are some similarities and dissimilarities between Versa and Blaze, although both are good in their own way. Plus, both have their own fan following. 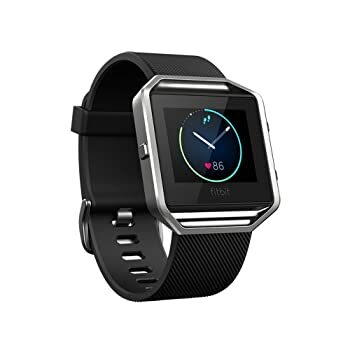 Women who want to keep a tab on their health often pick Fitbit Versa as it has a female health tracking option that keeps a tab on all the important aspects. Having said it, the Versa is also chosen by men as well. It is water resistant as well as water-proof up to 50 meters. Fitness fanatics, who love to go swimming and want to track this activity, should pick Versa. The Fitbit Versa is known for its waterproof feature. On the other hand, Blaze is only water resistant, which means you can go for a walk in the rain and it can also hand sweat, but it is not for swimming nor does it track this activity. People love to listen to the music while working out and if you are one of them, then Fitbit Versa will surely the right choice as it stores and control songs up to 300+. Moreover, Fitbit Versa allows you to respond or reply to the messages, whereas, Blaze lacks this feature. Blaze only allows you to read and messages and caller ID. These are the different features that will be provided by Versa. As you can see, Versa has more features and when you want more features, you need to pay more as well. If you do not need to track the swimming and stay in a budget, then Fitbit Blaze is just the right one for you. It has all the features that you need such as tracking runs, walk, distance, steps, floors climbed, calories burned, active minutes, and more. Although it is not waterproof, it is good to handle rain and sweat. It is quite affordable and everyone who keeps a tab on all day activities can have this fitness tracker. Both the trackers have their own benefits and you should select that one that fits your needs.